They are much more likely to promote your brand in a positive manner, both inside and outside of the office. This generally translates into word-of-mouth marketing – the best kind of marketing. Happy employees are less likely to leave, which keeps turnover low and will save you money on training costs and errors. Gaining employee loyalty and boosting employee morale is easy with Loyalty Gator. “If you wonder what getting and keeping the right employees has to do with getting and keeping the right customers, the answer is everything.” - Frederick F Reichheld: Author of "The Loyalty Effect". Motivating your employees: Our employee loyalty program is designed to promote employee motivation and secure your best performers so your company will continue to grow. Not only will employee loyalty help maintain customer loyalty, but loyal employees generally help recruit other top performers to your business. Increasingly, companies are looking for new and creative ways to boost employee morale instead of an old fashioned monetary bonus. Motivating employees with direct financial compensation can actually have adverse effects. Many countries have tax laws that penalize financial bonuses, causing the incentive to be less than impressive. Generally, tax laws are much more favorable towards non-monetary rewards. This is why the Loyalty Gator Employee Loyalty Program is such a hit. Did you know that employee incentive programs can usually be written off as a business expense too?! Check out our ultra competitive employee loyalty and rewards program pricing. Special packages are available for multiple locations to create an employee incentive program unique to your organization. 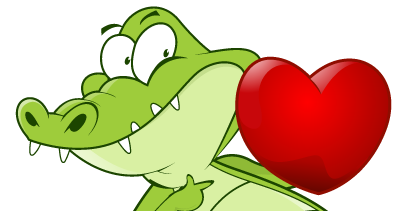 Loyalty Gator makes it affordable to have your own employee rewards program. Our low monthly pricing comes packed with lots of great features and no transaction fees!